In this book, the author looks at the 5 myths about pesticides and tells us the truth about them based on scientific evidence. If you need any convincing that organic foods are the way to survive this world-wide epidemic, read on. You can also enter to win a copy of this book and the updated version for parents titled Poisoning Our Children. Last week I reviewed Poisoning Our Children, which I thought was an invaluable look at peer-reviewed scientific evidence that pesticides are harming our children, and what we can do as parents to safeguard them. The Myths of Safe Pesticides is actually the first book that André Leu wrote that is the first edition and contains much the same information as Poisoning Our Children but without the emphasis on how it's affecting our children from the fetus stage and onward. 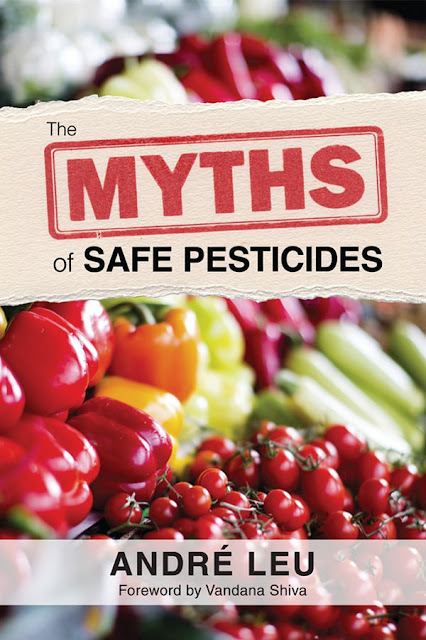 In this book, the author looks at the 5 myths about pesticides and tells us the truth about them based on scientific evidence. It is books such as this one that inform consumers so that our buying habits can change to bring about more natural methods of farming. The biggest eye-opener for me is that pesticides create pests, superpests actually, instead of controlling them. Contrary to what we've been led to believe, pesticides are not rigorously tested, are not safe in very low amounts, are mostly not removed by washing or peeling foods (the bulk of poison is inside the food), are not essential to farming and are not reliably regulated by the governments. Although research shows that glyphosate can cause genetic damage and mortality, the author shows how authorities have blatantly ignored this extensive body of research. From watching documentaries on preventing and fighting cancer and autoimmune diseases, I have noted that the poison that is glyphosate comes up in the discussion many times. Truly these chemicals are causing cancer and many illnesses that are alarmingly on the rise, especially in children. Pesticide use is a world-wide epidemic and from reading this book, a depressing outlook on our environment and food source. 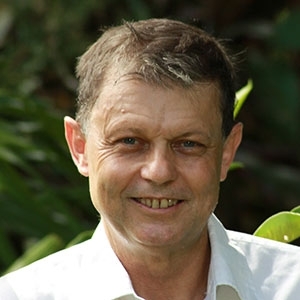 Although the information is interesting, this can make for some dry reading, however, it is thanks to people like André Leu, that this information is revealed and exposed so that we can bring about change. Studies have shown that eating organically grown foods that has been produced with organic guarantee systems, such as third-party certification, results in significantly lower levels of these pervasive chemicals in our bodies. If you need any convincing that we need to change our farming and eating habits, this book is eye-opening, well-researched and convincing. I'm now more determined than ever to eat organic foods and teach my children to be better consumers. To read more reviews, please visit André Leu's page on iRead Book Tours.